Cancer is a leading cause of death worldwide. Here's a visual aid to help you understand the disease. Even as cancer becomes more common in Singapore, researchers have discovered ways to prolong the lives of patients with the disease. That was the message of Parkway Cancer Centre’s (PCC) inaugural annual cancer update seminar at the Pan Pacific Singapore hotel in July 2017. Dr Khoo Kei Siong, PCC's Deputy Medical Director, noted that since the 1970s, cancer survival rates in general have gone up from 25 per cent to 50 per cent. However, treatments for certain cancers have seen more progress than others. Patients with Hodgkin’s lymphoma, testicular, melanoma, prostate, breast and uterine cancers are surviving much longer than before. However, treatments for liver and pancreatic cancers have not progressed as much. He said that improvements in treatment have been due to three reasons: earlier detection, effective treatment of micrometastases and better understanding of the biology of cancer. Cancer survival rates have risen from 25 per cent to 50 per cent over the past 40 or so years. Recent breakthroughs spell even better news for some common cancers. Breast cancer: Genetic array tests can help reveal low-risk types of breast cancer that may not require chemotherapy. Blood cancer: The use of cellular therapy to treat blood cancers such as acute lymphoblastic leukaemia, lymphoma and myeloma looks promising. Lung cancer: Immunotherapy has improved the five-year survival rate for lung cancer, from five per cent to 16 per cent. Micrometastases is when the cancer has spread but it cannot be seen, even with sophisticated scans. With better chemotherapy drugs and new treatments like targeted therapy and immunotherapy, micrometastases can be more effectively treated and mortality reduced, he said. A better understanding of the biology of cancer cells also allows doctors to attack them more accurately and effectively. Targeted therapy, for example, looks for specific biomarkers that identify a particular kind of cancer to find the drug most effective against it. Targeted therapy and immunotherapy have also given doctors more tools to fight cancer. Immunotherapy uses the body’s immune system to recognise and fight cancer cells. Dr See Hui Ti, a senior consultant in medical oncology, spoke about the treatment for gynaecological cancers and common cancer in women. On breast cancer, she noted that doctors now know who will benefit from chemotherapy before surgery and who will not. They are able to advise on how to reduce the risk of getting breast cancer as well. Through a genetic array test, oncologists now know which types of breast cancer are low-risk and therefore do not need chemotherapy. Doctors can also determine who will benefit from getting chemotherapy before surgery. Some types of breast cancer are very aggressive but respond well to chemotherapy. By doing chemotherapy before surgery, the operation can conserve the breast. It also means that doctors know how well the cancer responds to chemotherapy. Dr See says that genetic array testing holds a lot of promise for endometrial (womb) cancer. In future, it may allow doctors to use a simple test to identify the kind of endometrial cancer that a patient has. As a result, some women might not even need surgery if they have a very slow growing cancer. Dr Lim ZiYi, a senior consultant in haematology, spoke about a type of immunotherapy called cell therapy. He talked about how T-cells, which the body uses to fight infection, can be armed with a Chimeric Antigen Receptor (CAR) so that it can find and kill cancer cells more effectively. He recounted the 2015 case of a baby with very aggressive leukaemia who received 1ml of CAR T cells after all conventional treatments failed. “In the fourth or fifth week, the leukaemia cells started melting away,” he noted. So far, there has been very good data on using cellular therapy for blood cancers such as acute lymphoblastic leukaemia, lymphoma and myeloma, he said. Researchers are now looking at using cell therapies on solid tumours. “We believe that cell therapy is going to be very important for treating cancer,” said Dr Lim. Dr Lim Hong Liang, a senior consultant in medical oncology, talked about how the treatment of lung cancer had improved, thanks to targeted treatment and immunotherapy. He noted that for mutation-positive lung cancer, targeted therapy and chemotherapy treatment improved the median survival time to 2.5 to three years, compared to 12 months from just chemotherapy alone. In addition, newer forms of immunotherapy such as anti-PD-1 checkpoint inhibitors had been shown to further improve the survival of advanced lung cancer patients. He said he was very excited because it was an additional mode of treatment that was well tolerated and had longer response durations compared to chemotherapy and targeted therapy. With immunotherapy, the five-year survival rate for lung cancer was 16 per cent, compared to five per cent without immunotherapy. Following the presentations, there were panel discussions that covered a wide range of issues. One of the questions asked if there was a link between stress and cancer. In response, Dr See said efforts to prove a direct link between stress and cancer had failed. However, she noted, stress could lead to activities and lifestyles that could cause cancer, such as smoking and overeating. Dr Lim ZiYi added that cancer can result from many factors, including genetic and environmental links, or due to one's diet or smoking habit. Answering the question on whether there were diets that could prevent cancer, Senior Dietitian Fahma Sunarja said that the best way to lower one's cancer risk was to avoid being overweight, to be active, to eat more plant-based foods, and to limit the consumption of energy-dense foods, processed meat and salted and preserved foods. Avoid activities and lifestyles that can raise your risk of getting cancer, such as smoking and overeating. 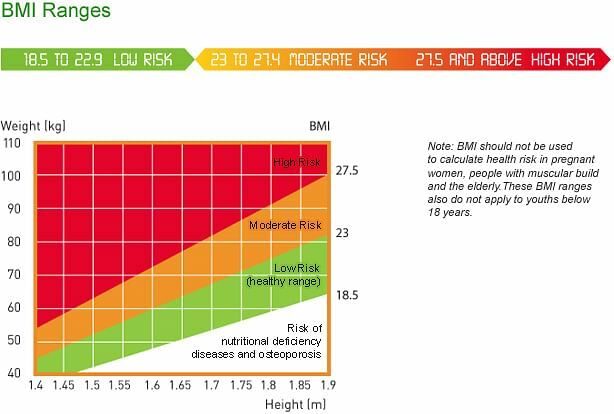 Keep your weight at recommended levels for your age and height. Use Body Mass Index as a guide to calculate a healthy weight range for the height. For children, aged 0 to 18 years old, use a growth chart to gauge the healthy weight range. Eat more vegetables, fruits, beans, legumes, nuts and seeds.